As Finance Coordinator, Christine’s main responsibility is daily bookkeeping ensuring all finance activity is properly recorded. She also participates in the administrative support team to create a great internal and external customer experience. Prior to taking on the role of Finance Coordinator, Christine worked in the Training department as Learning and Development Coordinator. She coordinated all activities pertaining to the training, consulting and coaching departments. Prior to her work at ERC, Christine worked at Stern Advertising where she consulted with Producers regarding the fees for producing and airing TV and Radio commercials for clients such as The Ohio Lottery, Cleveland Metroparks Zoo, Sterling Jewelers and McDonald's. She also assisted in the production of the commercial and renegotiated contracts between the client and actors when the commercials expire, and processed payment to the actors. Christine has over 10 years of experience in payroll processing and copy editing. She began her career at ASM International where she began as a Data Entry Operator and was soon promoted to Copy Editor, where she was responsible for editing material to be published in Materials Information publications. 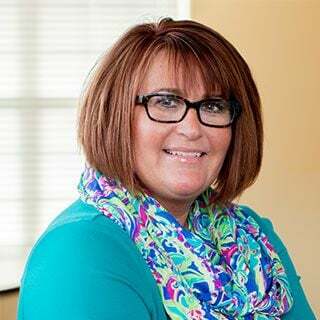 After her time at ASM International, Christine pursued a new career at Highland Talent Payments where she started as an Administrative Assistant and was then promoted to Account Service Associate. As an Account Service Associate, Christine was mainly responsible for payments to actors in TV and Radio commercials. Outside of Christine's professional work, she cares about causes such as helping people and animals in need. Christine has fostered many dogs and has helped them find loving homes, two of which have found their forever home with her, and are frequent visitors at ERC.